This is the 6th year that designer Latisha Yoast has been hosting this blog hop and it is a way to let our followers know just how much we appreciate them. Each and every stop along the hop is hosting a giveaway and as you can see from the list below there are a lot of stops and a lot of GIVEAWAYS! I would like to thank each and every one of you who takes the time to read, comment on or just visit my blog to browse. Your comments and encouragement are truly appreciated and I hope that you find a bit of what you are looking for when you stop by. The main reason that I blog is because I love to share with and inspire others! I haven't been posting as much as I usually do in the past few months because I broke my collar bone in October and after 10 weeks I am just starting to get back into crafting again. So I am hoping that 2018 has me back doing what I love most! First up I thought I would share some of my favourite projects that I created in 2017. Each picture has a link to the original blog post. To say thank you to all of you who inspire me to create every day. 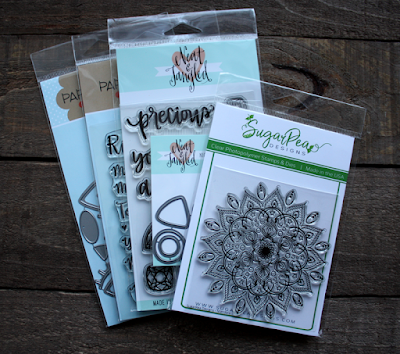 I am sending this prize pack to one lucky winner who leaves me a comment on this blog hop. You have until Friday, January 5th 2018 11:55 pm to leave a comment for your chance to win. Make sure you hop around for a chance to win one of the GIVEAWAYS being offered on all these blog! 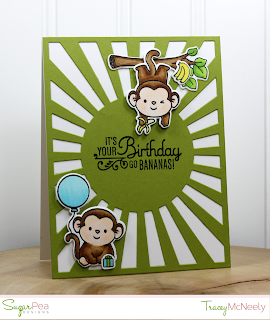 I always love seeing your adorable projects and that one with the monnkeys makes me giggle! Thank you for the generous giveaway and for inspiring me to create. Happy 2018!! Thanks for the opportunity to win this lovely package! Happy New Year! Love your work and thank you for the opportunity to win your giveaway. Love all your cards, the butterfly card is my favorite! Such beautiful cards. Happy 2018! Hope you're back to full crafting soon. Happy New Year! Thanks for your work - I love your style. Your cards are all so cute. I hope 2018 is all you want it to be and more. Happy New Year Tracey! What a wonderful selection of favorites. Happy healing for the new year! Happy New Year! Thank you for inspiring me to create throughout 2017 and here's to more fun in 2018. I love your cards - they’re all beautiful. Lots of inspiration here! Wishing you a very Happy New crafting Year 2018! What an awesome collection of work with simplicity and lots of innovative ideas! Thanks for the chance to win this fab and generous giveaway! Beautiful cards of 2017! I think my favorite Ismaili the Sketchy Florals one, soft and pretty. Thank you for sharing your talent and creativity, and speedy healing to you! Your creations are so inspiring. I would love to win and thanks for the chance. Happy New Year! These are all FABULOUS!!!!! I have loved seeing everything you have created this year!!!! Happy New Year!!! I loved that monkey card then and now. So cute. The Happy Birthday flower was also one of my favorites. But you've had lots of favorites over the year. Your ornament is lovely, too. Thanks for all of your creations. Happy New Year. I hope your collarbone is healing up nicely as I can only imagine the pain and discomfort. So glad to hear that you will be creating and sharing again soon. Wishing you a healthy and happy 2018! Great prize pack! I love seeing your posts. I don't know how I missed your cute envelope card before. I plan to make a few of these adorable cards for thinking-of-you moments. Happy New Year to you and thanks for a great hop prize! What fun. Your cards are sooooooooo cute! I feel inspired. Happy 2018! Happy New Year!! Here's to a wonderful 2018 for all! Thanks for the chance to win such a generous prize pack! Can't wait to see what fun things are ahead in our lil community! Great giveaway! Love your creations and Happy New Year! Thanks for the chance I love your cards! 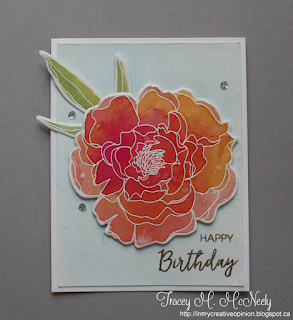 Thank you Tracey for all you do for us in the stamping community. Your tag series is always fabulous! What a fabulous collection of cards, thanks for a chance at your fabulous giveaway! Happy New Year! Santa always make a cute card. thanks for sharing this year. What a nice prize package you're offering! Thank you for the opportunit to win it. I especially love your floral cards. Hope your healing continues to go well so you can get back to making those beautiful creations. Your projects are so beautiful. Thanks for the inspiration. Thank you for the inspirations - like your backgrounds too. Your cards are beautiful. So sorry to hear that you broke your collarbone. Thanks for the great giveaway! What an awesome way to start the new year! 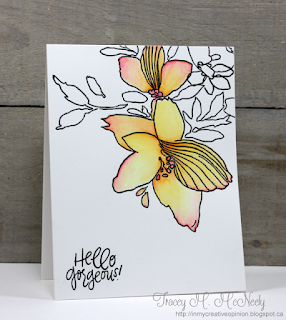 Love your use of inks on your cards! Great projects! Love them all! Happy new year! 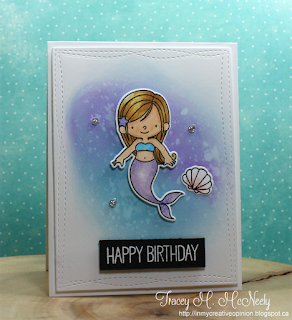 Tracey, your cards and tags always inspire, and you are one of the sweetest crafters out there, too! Thanks so much for the chance to win! Love your cards! Thanks for sharing and thank you for the opportunity to win a great prize! Fabulous cards from 2017! Best wishes for continued health and happiness in 2018! What a great blog hop and of course giveaway opportunities. Wishing you a wonderful 2018! Your cards are beautiful! Thank you for the chance to win and happy 2018! Thank you so much for your generous giveaway and Happy New Year! Your cards are beautiful! I hope your year will be filled with joy and peace and love. Thanks for the inspiration and glad your collarbone is healed! Happy New Year! Beautiful cards. Thanks for a chance at a great prize package. Fabulous bunch of cards!! This looks like an awesome prize pack, thanks for the chance to win! I cant decide if I like the cute and whimsy cards more or the beautiful ones more. They both speak to me differently. Thank you for sharing your talents. Happy new year!. Such beautiful and cute cards. Thanks for all the inspiration this past year. So sorry to hear about your collarbone! Sounds so painful! Hopefully, inspiration will hit and you will be having so much fun creating you'll forget all about it for a time! Happy 2018! Thanks for sharing your beautiful creations this year and I'm glad you've mended and can enjoy crafting again. Happy New Year! Wishing you joy and happiness for the new year! Your cards are adorable and my fave is the Special Delivery card. Wonderful prize you're offering to a lucky reader. Oh my, a broken collar bone is not fun. I am glad you are feeling better and look froward to seeing more of your creativity this year! Thanks for participating in this give-away! Those are really nice dies and stamps that you are giving away! Have a great new year, and thank you for your website and all of your ideas!! Beautiful cards and great prize pack! Happy New Year! 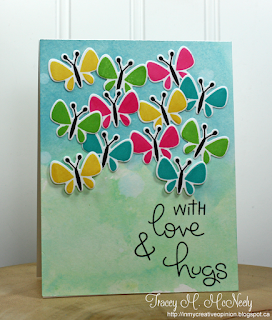 Love your cards and the butterfly one is so pretty! Happy New Year and thanks for the chance to win! Wonderful cards. My fave is the cute one with the monkeys. Have a blessed 2018. I make themed cards each month for all my children, grandchildren, and great-grandchildren, so I will begin that process this week. I am always looking at new techniques to try and inspirational ideas. Your cards are lovely. I hope 2018 provides wellness and joy for you and yours. Fabulous cards throughout the year!! Happy New Year!! Very pretty cards! And I really love the ornament; gorgeous! I hope you have a blessed 2018. Thanks for your fun giveaway. Happy New Year, thanks for the chance to win these amazing prizes! thanks for sharing your talent with us through out the year! Your cards are so lovely and inspiring! Such beautiful cards and a great giveaway. I'll be adding your blog to my blog reading list. Thank you for the fun giveaway! Your cards are adorable! I draw inspiration from you so much! Thank you for that. Thanks for the chance to win this giveaway!! I love your cards! So Pretty!!! Thanks for the chance to win, Happy New Year! Beautiful overview of your 2017 projects ! The first one and the last one are my favourites. Thank you for your great give-away; good luck to all of us ! Happy, healthy (you know what it means !) and creative New Year from Belgium. OMG! All your cards are amazing! I need to join your mailing list right away! I try to use positive words every day, even at the grocery store. I love talking to old people. They are always positive and almost greatful to be spoken to. It puts a light in there eyes. I even paid for someone’s groceries behind me in line. And she was so greatful, she sent me a thank you card. I think everyone needs to share a little kindness one way or another. soooo much pretty color in those designs. Happy New Year Tracey!! Thanks for a chance to win! Tracey, I have LOVED your AMAZING creations all year long! Here's wishing you have a wonderful, healthy, prosperous 2018! Happy 2018! I am more a "lurker" than a poster, but I would like to take the time to thank you for your generosity in sharing your talent! Thank you for all of the inspiration and Happy New Year! Love your cards thanks for sharing and hope you feel better. Great cards. Love the colors! So many wonderful card designs you have shown us. Thanks for sharing them and thanks for the chance to win the prize too. Happy New Year to you. Thanks for your inspirations. Looking forward to looking back at the fashionista posting. Have some of the sets and look forward to using them again. I love blogs that provide inspiration and would like to thank you and this blog hop for showcasing the talent out there and how much inspiration is out there. your cards are awesome! Your prize pack is also. Thanks for the chance to win. Happy New Year. 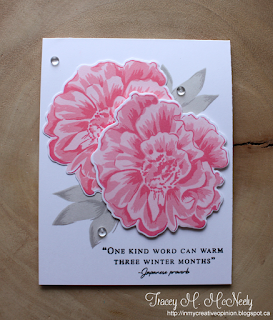 I love your card, “One kind word cam warm three winter months.” Thanks for sharing! I found you through my sister and have been continually impressed by your wonderful work. Someday, maybe, I will learn how to submit my own works. Thanks for the generous prize pack and for a chance to win..... Happy New Year. I'm discovering you today and loving what I see! Thank you for the chance to win! Nice cards. Thanks for a chance to win some fun stamps. Love your review of cards! Your color work is stunning. I like all the things I am seeing on your blog. The vibrant colors can warm the winter months themselves. What an amazing giveaway. Thanks for the opportunity to win. Happy new year. I love your "special delivery" card. Simple but so cute. So sorry to hear about your health issues I hope all is well for you now! Thank you for your inspiration! Tracey, so wonderful to see these again. So many of your favorites were my favorites too! Looking forward to your awesome designs in 2018. Love that Mandala ... thanks for the chance to win. I find it so inspiring to see everyone share their favorite cards. Such talented designers on this hop and generous giveaways too! Love your cards! Especially the florals. Happy New Year! 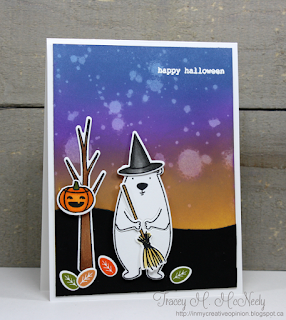 All of your cards are wonderful, really love your Halloween Bear. Happy 2018! Have so enjoyed your talents & creativity this past year. Your tag series is a favorite of mine. Glad you're on the mend & hope 2018 is good for you. Thanks for a chance to win this great prize. I love your blog and your cards! Happy New Year!! Wonderful cards, this hop is so fun with so much talent! Thanks for the opportunity to win such a great prize pack! Wow...loved the look back at all your wonderful and creative cards, so much beauty in one spot! Thank you so much for the chance to win! Happy New Year. Happy New Year Tracey! 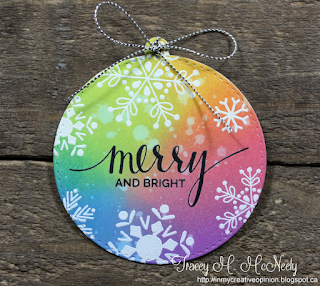 Lovely projects and I loved the Christmas tag blog hop, will be there next year if you do it again. Thanks for the chance to win these prizes and here's to a great 2018! Every one of your cards is so different, cheerful & happy! I'm glad you are healing - I know how frustrating it can be to be hurt! Thanks so much for sharing and taking the time to blog all your cards. They are all so inspiring. Your talent is just amazing! Thanks for the chance to win! Such beautiful creations! Thanks so much for all of the inspiration! That ornament card is so adorable! Love all your work. Wishing you a happy 2018! HAPPY NEW YEAR Tracey!! Here's to a FABULOUSLY Creative and Healthy 2018!! THANKS SO MUCH for sharing and for the chance to WIN!! This is a wonderful array of cards. My favorite is the butterflies card. love seeing the review of cards - all so pretty - happy 2018!! Happy New year, thanks for sharing and inspiring! So many great cards! Thank you for the chance to win, and Happy New Year! Tracey, I love everything you do! Glad that you're healing and crafting again! Not sure how you were able to choose your favorite projects - they're all great! Thanks for sharing your creativity with us, and thanks so much for the chance to win a fun prize. Happy 2018! This is my first time visiting your blog. I love your style...striking. So many awesome projects! Thanks for a chance to win an awesome prize too! Happy New Year to everyone! Having fun on this fabulous hop! Love your projects and the fabulous prize pack.Thanks for the opportunity to win! Tracey...you had a very creative year looking back at your favorites! Here's wishing you a happy and crafty fun 2018!!!!! I really adore your creative style! Happy your collar bone is healing so you can get back to creating! I don't follow your blog but do follow you on Instagram. (hiqd62). Looking forward to seeing more of your artwork! Happy 2018! I hope 2018 will see you healed up and back to the crafting you love and it shows. Your cards are wonderful! Beautiful projects and lovely prize. Thanks for a chance to win. I'm glad to hear that you're feeling better now and are back to crafting because I just love your style! Thank you for your giveaway, and hoping for an awesome, creative 2018! Beautiful cards, your colouring is fabulous! It's a delight to see some of your favorites again! I especially love that Happy Birthday huge blossom and the first one with the pink envelope! Thanks Tracey for a great year of inspiration. Happy New Year, lovely Tracey! Wishing you and your family a year filled with peace, joy and love; for you, specifically, a fully-healed collarbone and a return to crafting in abundance! How wonderful to see second (and in many cases, third and fourth) helpings of an array of the gorgeous cards you created in 2017. All speak, loud and clear, to your incredible creativity in a wide range of styles. Glad we don't have to choose a favourite; I love them allllll! Your giveaway is so generous; a lucky person will be delighted to welcome those wonderful products into their collection. Glad that you are on the mend. Hope that 2018 is a wonderful year for you. Thank you for all of the creative inspiration! Awesome designs! I've been anxious to try a mandala - thanks for your great giveaway! Wonderful cards. Thanks for a chance to win and wishing you a Happy New Year. Beautiful cards, Tracey! Thanks so much for sharing your talents with us all year long...it's always fun to visit your blog! Also, thanks for a chance to win! Happy New Year!!! Thanks for inspiring me!!!!! Happy New Year Tracey! Love the favourites of the year. I already have a number of these pinned for future reference. You are one of my favourite new blogs that I follow this year. Thanks for your regular inspiration. Much appreciated! I liked your site so much I joined! Happy New Year!! Oooh... I love your cards! Especially the one with the pink envelope... it just inspired me to start my Valentine projects! Thank you for the chance to win your awesome prizes. Happy New Year! Your cards are so adorable!!! Thank you for all the inspiration you give to me. What a great giveaway. My best to you this year. Beautiful cards and Happy 2018!! Love seeing your work! Great cards. Love your color choices! Thanks for the chance for such a great prize. Happy New Year! I love your projects! I hope that you are on the mend and that 2018 is good to you. 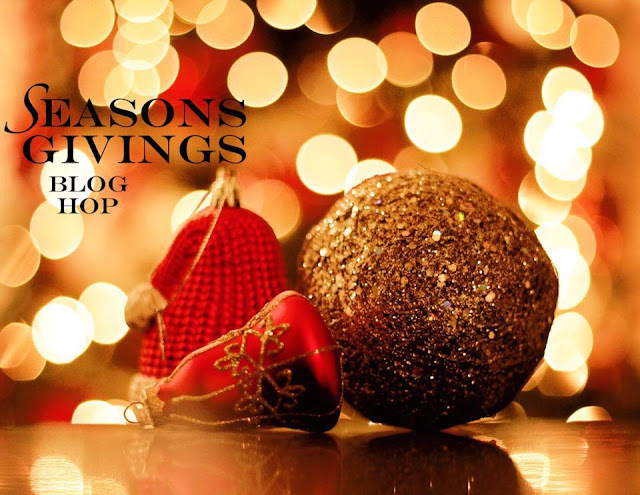 Happy New Year and thank you for being part of the blog hop. I love seeing all of the artists favorite cards for the year. It shows so much variety and gives me a lot of ideas for my own cards. Thanks! super cute cards, just fabulous, thanks for sharing, and happy New years. Such a fun look back. So many different techniques and designs! A great prize pack and love your cards. Awesome project inspiration! Happy 2018! I love the year in review of projects, always fun to see great projects altogether. Love your work. Happy New Year. Oh wow. Get well soon because your designs are lovely. I can’t wait to see what you’ll do in 2018. Happy new year and much successs in your recovery. Gorgeous cards! I love that adorable Santa one so much! And those pink flowers! Gorgeous! Continued healing in the new year! Your cards are amazing! Thank you for sharing so much inspiration throughout the year! Thanks for all your inspiration in 2017; looking forward to seeing more this year. Thanks for the chance to win a great prize! Such gorgeous and beautiful cards and such beautiful coloring!!! 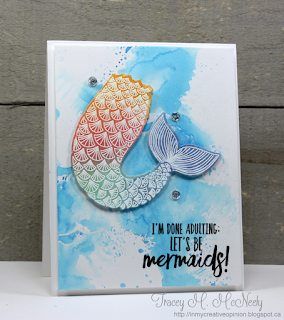 My favorite card is the mermaid card, just about right! Hope that your collarbone continues to heal, that is such a bummer. Enjoy 2018! What wonderful cards you've shared! I especially love the Valentine's card! I hope the new year finds you in good health. Thanks for the opportunity to win. Ooohh what a bunch of wonderfull cards are you showing. I am sure you are going to make some more wonderfull cards in 2018. Beautiful cards, I love the Santa card, super cute. Love your fun cards! My favorites are the adorable monkeys and the cute Santa card. Thanks for the inspiration and for a chance to win a great prize. Hope you have a blessed new year. Loved your latest YouTube video. Hope you’ll be making more in the future. Happy 2018! I'm new to your blog and I like what I se. Thanks for the inspiration. its been fun following you this year, I cant wait to see whats new for 2018! Thank you for sharing your creativity! I cannot wait to ink up all my Stamps in 2018 and make new projects. Terrific projects. Hope the New Year finds you on the mend and with renewed creativity! Thanks for the generous prize, love puns and mandalas! Happy New Year! My goal this year is to make more cards and to use every stamp, die and embossing folder that I own and have never used! Wonderful cards and ideas. Wishing you rapid healing and blessings for a new year! Thank you for sharing your great ideas! So many beautiful & colorful cards! I've enjoyed looking at all of them. Thank you for participating in the Blog Hop! You have curated a great collection of stamps that a newbie like myself would LOVE to win. Your cards are all lovely, the florals are my favorite. Love your picks from 2017! Thanks for all of your fabulous inspiration!